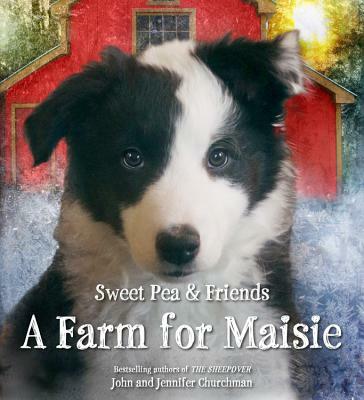 When Maisie Grace the puppy arrives at Moonrise Farm, she's excited about her new home but overwhelmed by all the bustling activity around her. She learns about each animal's job: the chickens lay eggs, the pony pulls a cart for Farmer John, and the sheep make lots of soft wool for blankets and warm clothes. But what will Maisie's job be? With the help of older dog Laddie and her new friends, Maisie realizes how she can help--she's going to be a sheepdog! John and Jennifer combine their talents to give voice to the stories of all the animals who surround them and add boundless enjoyment to their lives. They have made their home on a small farm in the beautiful countryside of Essex, Vermont, with their daughter Gabrielle. They are also the authors of Brave Little Finn and the New York Times bestseller The SheepOver.